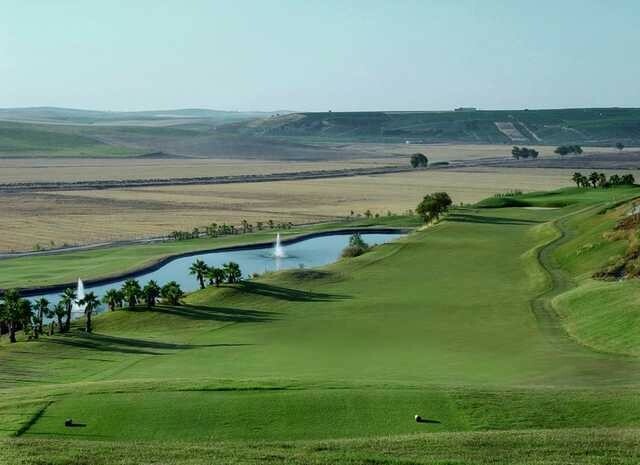 The Sanlúcar golf course has 18 holes split into two very different sets of nine, with stunning views of the mouth of the Guadalquivir River, the Doñana National Park and the vineyards of the Jerez region.. The first nine are of a British links style. These holes extend along the sea. Your shot selection will require extra thought due to the cool Atlantic winds affecting ball flight. The other nine are of an American style. Although this is certainly the flatter of the two nine holes it does boast seven holes affected by strategically positioned water hazards. Clever course management and a level head will be required in order to shoot a low score.